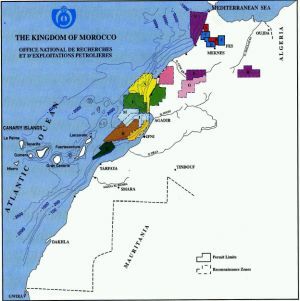 From 1999 till today, Moroccan authorities have massively opened for oil exploration in occupied Western Sahara. Map to the left shows oil exploration and reconnaissance contracts awarded in Morocco and Western Sahara as of 1999. The map to the right is from December 2008. Both are produced by the Moroccan state oil company ONHYM (ex-ONAREP). 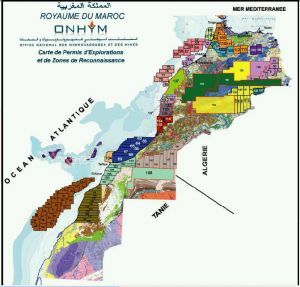 The 1999 map was found on this presentation given by the Moroccan Minister of Energy, Natural Resources, Water and the Environment, Mrs Aminda ibn Khadr last year before a parliamentary committee. Irish, British and American firms are behind Morocco's oil exploration in Western Sahara, which the UN has viewed to be in violation of international law.